I saw the Nick Moss Band perform twice in 2013 and was left with an extremely favorable impression. Even so, I was unprepared for what I heard when Nick asked me to listen to the band’s upcoming record, due in March. Killer piano and organ sounds balance excellent, varied guitar tones, all riding atop a powerful, nuanced rhythm section. Nick’s husky vocals are matched by those of the new band member, Michael Ledbetter, an exceptional soul and blues (and, I understand, opera) singer, making a potent one-two combination. 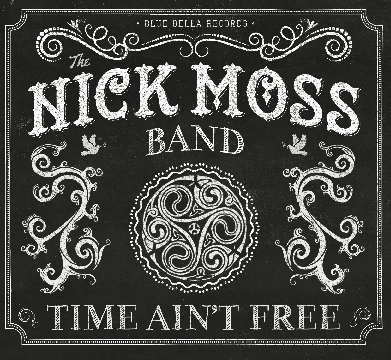 Time Ain’t Free finds an inspired Nick Moss extending his creative streak, offering an intelligent, updated take on ‘70s rock and R&B, marked by daring arrangements and surprising juxtapositions. Blending elements of Parliament, the Allman Brothers, Stevie Wonder, Faces, even Afrobeat, and at times evoking an Ike Turner-Little Feat summit, the set encompasses Muscle Shoals sweetness, stormy postmodern boogie, greasy roadhouse R&B, soul-tinged rock, and gospel-inflected ballads, all filtered through Moss’s deep-blue lens, rocking hard yet stone funky. Look for Time Ain’t Free to be one of 2014’s more interesting releases – complex and challenging, but tuneful and completely accessible. The new Magic Sam album is outrageously great. I would say the same about virtually any other Sam Maghett recording–he never made a bad one, and that includes not only his studio work but the four live albums already available (five if one counts the solo house party set Give Me Time), which seem to have been taped almost by chance. Live at the Avant Garde is different in that it was recorded, at a Milwaukee appearance in 1968, to the highest standard of an amateur engineer. Though I had heard at least one of the earlier live shows in private circulation before it received its official (or semi-official) release, the existence of the Avant Garde tape came as a total surprise. Mindful of the adage about gift horses, I don’t question why it has become available after remaining a secret for so long. I am merely grateful, and deeply. Unlike the other known live recordings of Sam, Avant Garde’s sound is clear and present, and the mix is fine (the set’s engineer and producer Jim Charne details the recording’s technical aspects in his liner notes). Sam’s voice and guitar are out front and crystal-clear, and Bob Richey’s drums are crisp as one could wish. Another reviewer has stated that Mojo Elem’s electric bass is inaudible. Not so. On my copy, it’s plenty loud enough for any blues band, provided that your taste has not been formed by rock soundmen, club DJs, or certain latter-day “blues” CD mixes. I’d also observe that Elem’s no-frills approach makes a better foundation for Sam than Bruce Barlow’s busy playing on Live 1969 • Raw Blues and the Ann Arbor sides. Sam himself is in top form. His was one of the most intense and identifiable voices in the blues, with a resonant, declamatory style marked by an unusual reliance on tremolo (volume variation) rather than vibrato (pitch variation). In this show he sounds totally at ease, but with no diminution of his power. He is masterful. His guitar work? Hold on, baby! A red Epiphone Riviera into a Fender Twin Reverb (as shown in the cover photo, taken at the gig) yields beautiful tone, and the singular drive and depth that mark every note Sam ever committed to tape are all vividly present. A couple of hesitations and a slip of the fingers here and there are, I think, the only (barely noticeable) imperfections in an otherwise confident, peak form demonstration of Sam’s patented rhythm-to-lead playing. His creativity and energy are boundless; even the songs that appear in multiple versions across the live albums are packed with excitement and fresh ideas. Although Sam offers some good-natured patter and gives shout-outs to the taper and the club owners, the well-lubricated camaraderie, self-promotion, and enthusiastic banter heard in the home turf Alex Club shows are subdued by comparison in the coffee house environment. But the musical aspects of the performance are unaffected. 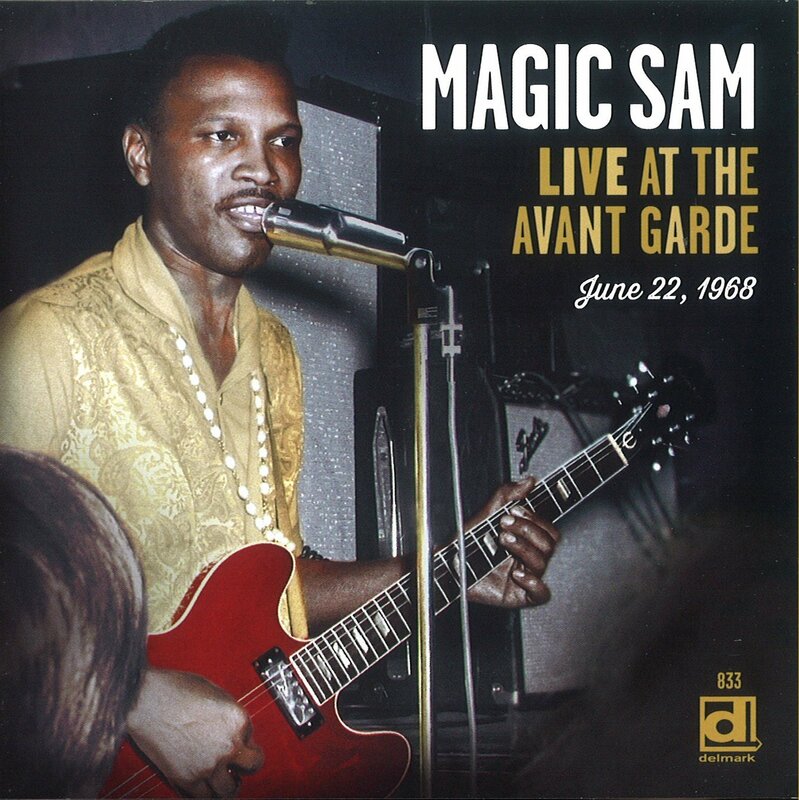 I have eagerly, and repeatedly, listened to everything that has come out on Magic Sam, regardless of its audio fidelity, and Sam has never let me down: He always brought it. Sam died too young and not often enough recorded. Improbably, given its late release, Live at the Avant Garde is all cream; nothing about it asks the listener to settle for anything less than the best. And Magic Sam was the best. His unsurpassed charisma and talent continue to thrill, 45 years later. Live at the Avant Garde is a dream come true for fans of electric blues in general and Magic Sam in particular. I bought this album from bluebeatmusic.com and received this review copy from the label. The Blues Foundation has announced the nominations for the 35th Blues Music Awards. Blues Foundation members elect the Blues Music Awards winners, so join and vote! The Awards will be presented in Memphis, Tennessee on Thursday, May 8, 2014. Purchase BMA tickets and learn more about the Blues Foundation at blues.org. From the beginning of his 15+-year career, Tom Holland was among the most sought-after sidemen in Chicago, first joining John Primer’s band, then Eddy “The Chief” Clearwater’s. His experiences backing everyone from Robert Lockwood Jr. and Jody Williams to Son Seals and Jimmy Johnson rounded out an enviable apprenticeship program. 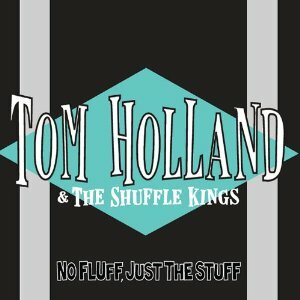 Holland led his own band practically from the start, and while more than a decade has elapsed since the first Tom Holland & The Shuffle Kings CD was released, the southpaw guitarist has hardly been taking it easy. He played extensively behind Carey Bell and Hubert Sumlin, and has toured with James Cotton for almost 10 years now. Five years ago, he recorded an album of guitar-piano duets with Marty Sammon, and he has appeared on records by artists including Cotton, Mud Morganfield, and Alabama Mike. Now he is back with a new long player of his own. Convening at Felix Reyes’s friendly House of Tone, a studio noted for producing warmly authentic sounds, the Shuffle Kings–Holland, Mike Scharf (bass), Tino Cortes (drums), and Big D (harmonica)–really delivered on these 10 original songs. The rhythm section has a solid feeling for the blues, and, in true Chicago fashion, the harp takes a central place in the mix, but Big D never overplays. Holland sings unaffectedly, and his guitar work is in the camp of understated perfection still practiced by contemporary players like Lurrie Bell and (more directly) Primer, whose slide and single-string styles Holland has absorbed thoroughly. The opening track, “Waiting On The Other Shoe To Drop,” incorporates some unusual changes that lend it the flavor of the Darrell Nulisch-era Broadcasters, when Ronnie Earl led the toughest blues band on the planet. But in general, the material offers a survey of real deal Chicago blues. Some titles are direct from the vintage stylebook: “Shuffle King Boogie,” a brisk jump number in the tradition of Jimmy Rogers’s “Rock This House,” features guests Sammon and Primer. 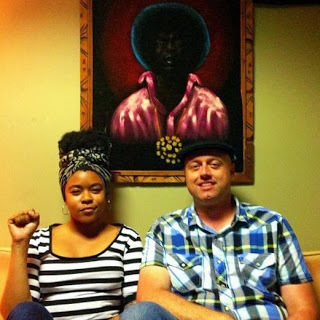 In the Muddy Waters-style slow blues, “Hurry Up & Wait,” Holland again echoes Rogers (with touches of Lockwood) and evokes Muddy’s slide, filtered through Primer; Big D lays down deep swoops and squalls. Perhaps evidence of the Cotton connection, the record’s title track is a raw, harmonica-heavy boogie along the lines of “Evans Shuffle” or “Juke,” with hints of Elmore James’s “Bobby’s Rock” in Holland’s low-register riffing. Other songs edge stylistically closer to the present day. “Look Here Baby” is a rumba blues with more than average bounce to the ounce, due largely to Cortes’s enthusiastic drumming. Sammon turns in another terrific solo, and Holland constructs a remarkable rhythm figure of hip lines, cool chords, and perfect single-note bass parts. (His solo is dynamite, too.) The loose-jointed shuffle “More Things Change” comes straight out of the John Primer mold and, in fact, spotlights the master himself, executing many of his signature guitar moves. “Hey Pardner!” is an up-tempo instrumental, based on “Shake For Me,” that shows Holland learned more than a few tricks while backing up Hubert Sumlin. As he plays off of Big D, Holland steers his soloing in the latter half of the song into something more original. “Long Road To Tomorrow”–churning, minor funk with a more contemporary Chicago feel–wouldn’t sound out of place on any record by Vance Kelly, Primer, or Willie Kent. In “Easiest Thing I’ll Ever Do,” a mid-tempo soul original, Holland plays an easygoing, melodic vocal line against a galloping rhythm. D’s harmonica capably fills the spaces that horns or keyboards might ordinarily take up. Exploring the opposite side of that lyric, Holland gives us “Hardest Part Of Loving You,” a devastating, slow minor blues. Marty Sammon’s piano is brilliantly Spann-like, and D lays it down heavy. Holland sings with real urgency, and, on guitar, alternates tremolo-picked passages with deliberate slow phrases of frightening intensity. With Otis Rush out of commission, it seems that far too few people play (or know how to play) this kind of thing right. Thank goodness Holland paid attention when he was hanging out with the late, great Magic Slim. In tipping his ever-present cowboy hat to his influences, Tom Holland has cut an excellent album. 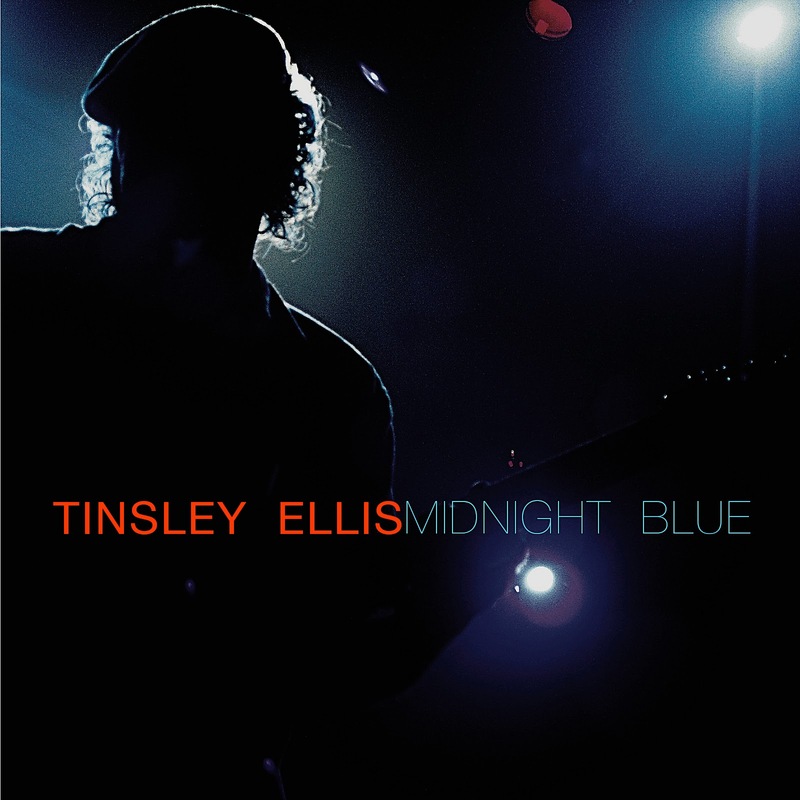 No Fluff, Just The Stuff makes a strong case that Chicago blues (and I don’t mean the modern rock-and-funk hybrid that too often passes) remain vital and valid. I bought this CD from the artist. A well-respected singer and songwriter since the 1970s, the Minnesota-based Paul Metsa is a noted scholar, activist, promoter, statesman, and author, all in connection with his musical endeavors. Willie Walker is simply one of the best soul singers in the business, probably best known today to those outside the Twin Cities area for his recent work with the Butanes–three albums’ worth of very fine original soul and blues material by Curtis Obeda–and for the coveted handful of sides he recorded for Checker and Goldwax in the ’60s. 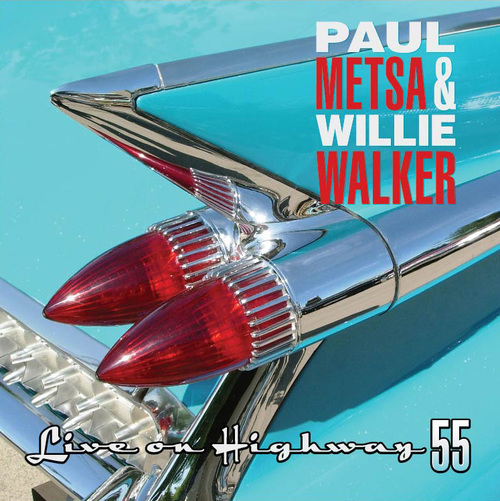 To my knowledge, despite Walker and Metsa’s long-term acquaintance and geographic proximity, Live on Highway 55 marks their first recording together. The duo proves to be a natural pairing, even though each artist is working a bit outside his comfort zone: Metsa stays completely off of the microphone, and plays a set that is slightly different from his usual folk and blues repertoire; and Walker, who (in spite of a few catalog items, like his vintage single of “Ticket to Ride” and a cover of The Eagles’ “I Can’t Tell You Why” on his first, eponymous long-player) generally favors soul music, stretches effortlessly into material like the Louis Armstrong standard “What a Wonderful World,” “House of the Rising Sun,” and a bluesy “Nobody Knows You When You’re Down and Out” that relies less on the version by Bobby Womack than on Bessie Smith or Derek & The Dominos. Walker’s voice has aged appealingly, developing a controlled raspiness–a frayed quality reminiscent of Eddie Hinton or Johnnie Taylor–more pronounced than it held in the “Wee” Willie Walker days, and gained in complexity and emotional resonance, while retaining all the suppleness and smooth glide of his idol Sam Cooke’s (his show-stopping interpretation of “A Change is Gonna Come” has to be heard). Metsa rises admirably to the task of evoking the well-known, sometimes quite complicated original versions of songs like “My Girl” or “Good Time Charlie’s Got The Blues.” Whether he is converting “I’d Rather Drink Muddy Water” into a minor groove à la “Help Me,” or adding a succinct blues guitar solo, sparkling with harmonics, to “Bring It On Home” (another Cooke classic), his accompaniment is adept, dynamic, and inventive. He has clearly internalized these songs to a rare degree; even without Walker’s amazing vocal, the depth of Metsa’s arrangement of “Blowin’ in the Wind” absolutely puts to shame the paint-by-numbers version released last year by an acclaimed, and usually terrific, guitarist who was a long-time member of Bob Dylan’s band. The challenges Metsa and Walker offer each other notwithstanding, Live on Highway 55 is not as adventurous in its selection of material as, say, Bettye LaVette’s albums for the Anti- label, but it is just fine; those who swore they never again needed to hear “When a Man Loves a Woman” or “Ain’t No Sunshine” will be forced to eat their words. Nor is it perfect in every aspect–Walker sings the wrong words to Little Willie John’s “Fever” every time the chorus comes around, and I guess we’ll have to wait for a studio record to hear Metsa’s guitar sound its best (miked up, that is, instead of amplified through a pickup). But it represents far more than a souvenir for those who attended the live in-studio show in April 2013 that produced the disc. Live on Highway 55 documents a fruitful partnership and a beautiful session that rewards repeated listening. I purchased this CD from the artist. Over the course of six albums, J.T. Lauritsen has shown an unmistakable feeling for the music of the American South, with strong examples of blues, country, roots rock, and Louisiana music in varying styles to his credit. The singer and accordion, Hammond organ, and harmonica player cut his latest set in two sessions: one at home in Norway, with his working band The Buckshot Hunters; the other at Ardent Studios in Memphis, with a collection of well-known American musicians. Drummer Jon Grimbsy keeps time on every cut. The results are absolutely enjoyable: Play by the Rules is a terrific collection. The Ardent date (12 May 2012) produced five songs. “Next Time,” a Lauritsen composition that shares a melody with Chris Kenner’s “Sick and Tired,” rides straight out of New Orleans on Victor Wainwright’s rolling piano and Grimsby’s second-line drums. Josh Roberts contributes a tersely phrased and effective guitar solo. The title track, a stately mid-tempo ballad, features prominent piano and accordion, with vocal harmonies by Debbie Jamison and Teresa James. Roberts’s slide guitar curlicues, delivered in a thick tone à la Ry Cooder, are the key sonic element. On the excellent instrumental “Memphis Boogie,” Lauritsen (accordion), Wainwright, and Roberts trade solos at a breakneck pace. 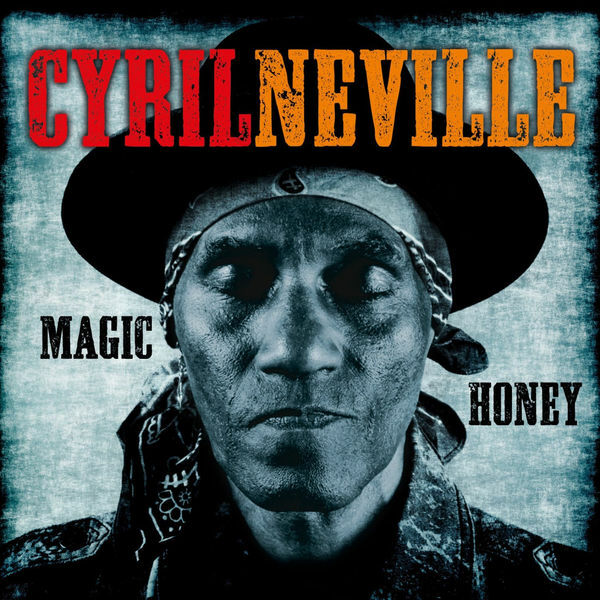 A pair of shuffle, paced by Willie J. Campbell (Mannish Boys, Fabulous Thunderbirds, James Harman) on bass and Greg Gumpel (who plays bass on the other Ardent sides) on guitar, rounds out the Memphis sessions. Walter Horton’s “Need My Babe,” with crucial B3 from Paul Wagnberg, pits Lauritsen in a harmonica blow-off with Billy Gibson. Gumpel turns in a lovely train-wreck guitar solo on Bo Carlsson’s stomping shuffle “The Blues Got Me,” which closes the disc. Seven songs come from a session in Oslo (6 February 2013). A solid version of the swamp pop classic “Mathilda,” originally by Cookie & The Cupcakes, with guitar by Arnfinn Tørrisen, leads into Lauritsen’s “Find My Little Girl,” which rocks along over a “Hi Heel Sneakers” groove and spotlights Anson Funderburgh’s sleek leads. Funderburgh also contributes rhythm guitar to an atmospheric reading of Gillian Welch’s “Valley of Tears,” which is both delicate and murky. Big Joe Maher’s “Ever Since The World Began” sounds particularly sweet, backed with Lauritsen’s accordion and the rollicking groove laid down by Grimsby and bassist/backing vocalist Atle Rakvåg. Rakvåg, the co-producer, submitted a pair of songs he wrote with Knut Eide: the clever “Eye Candy,” a riff-based rocker, and a truly gorgeous ballad, “I’ll Never Get Over You.” The rhythm section plays subtly under Wagnberg’s keyboards (Fender Rhodes and Hammond B3), guitars by Tørrisen and Ian Fredrick Johnnessen, and lush harmony vocals by Reba Russel and Debbie Jamison. This composition, in the Northern soul style, could as easily have come from the UK in the ‘80s as from Philadelphia in the late ‘60s, but fits perfectly in this context and is surely one of this year’s finest new songs. 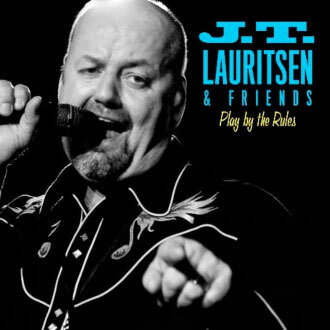 Lauritsen always sings with passion and deep soulfulness, and–for Anglophones who may care–no trace of a Scandinavian accent. He removes all doubt in the opening track, a cover of William Bell’s Stax classic “Everyday Will Be Like A Holiday,” where he shares lead vocal duties with Sven Zetterberg, unquestionably one of the greatest living singers of deep soul music. (Kerry Clarke and Larry McCray are the impressive background voices.) The fresh arrangement (sans sleigh bells) is pitch-perfect, as is the balance of instruments throughout the album. Whether recorded by The Buckshot Hunters or by a crew weighted with Blues Music Award-winning instrumentalists, every cut is guided by Lauritsen’s authentic vision of American roots music styles. I recommend Play by the Rules without reservations. 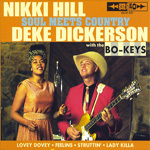 Review copy of this CD was provided by Frank Roszak Radio Promotions.